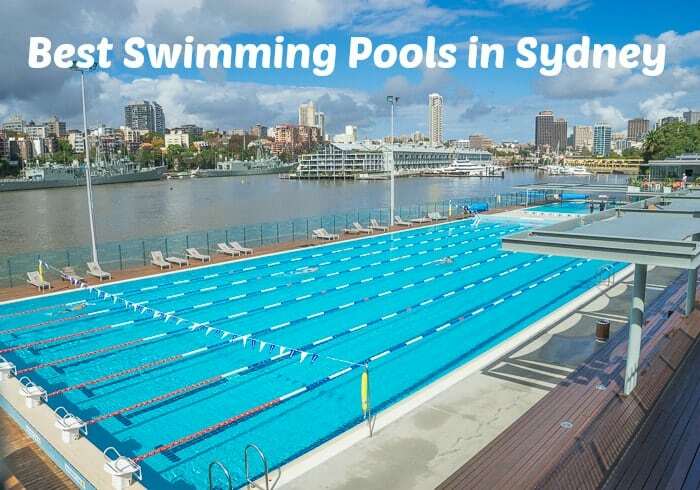 There are literally hundreds of Sydney swimming pools, many of them super special places to swim and play. 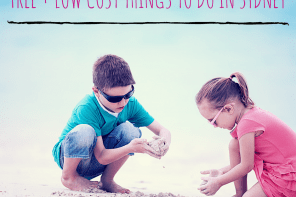 If you’ve got busy kids then you’ll know that splashing and swimming can really wear them out. In a good way! Plus we all know that every kid in Sydney needs and deserves to learn to swim. It’s a simple safety issue. So if you are looking for a great swimming pool. Sydney can provide one! All the pools listed here have their own very detailed post, so just click through to read all the information you need to plan a visit. If you’ve searched for ‘swimming pool near me’ just have a look as the pools here are listed by area. 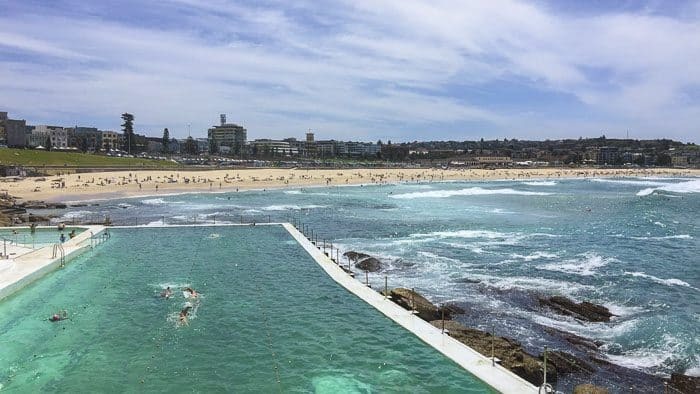 NB Don’t forget the many free outdoor rock pools and ocean and Harbour pools that Sydney has. You can find these listed on our big Sydney beaches and map post, click here. And just to add all of these are public swimming pools, Sydney also has private pools within gyms but the public pools are the best. An indoor pool complex right beside Hyde Park in the centre of Sydney. Check out the post here, and see the little video above. This outdoors pool perched on the shores of Woolloomoolloo Bay has some of the best Sydney Harbour views around. There’s a kids pool though just a small one. A beaut lap pool in a spectacular spot. 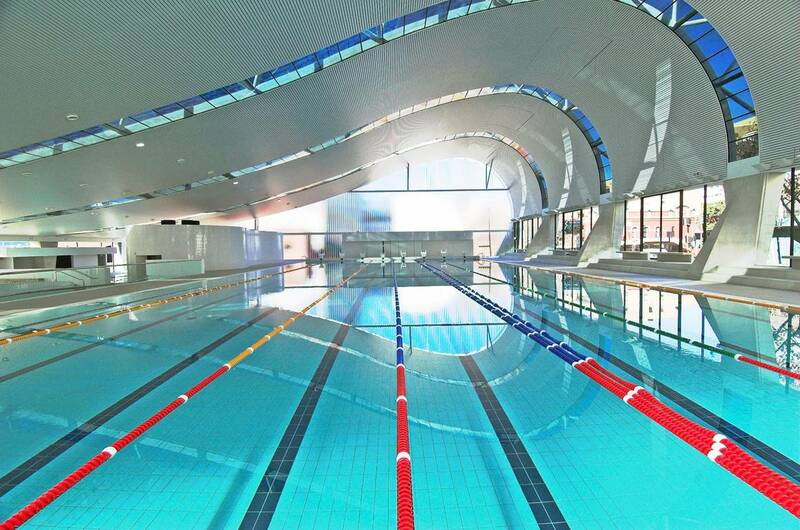 One of the best indoor pools Sydney has to offer, certainly in the city centre. The Ian Thorpe Aquatic centre is an indoor pool complex with a 50m pool plus a leisure pool and a learn to swim. Gorgeous location with outdoors pools only. The kids pool is open only in summer, but 50m lap pool outdoors is open all year round and there’s a gym and creche too, so good for parents. Read all about Victoria park Pool here. 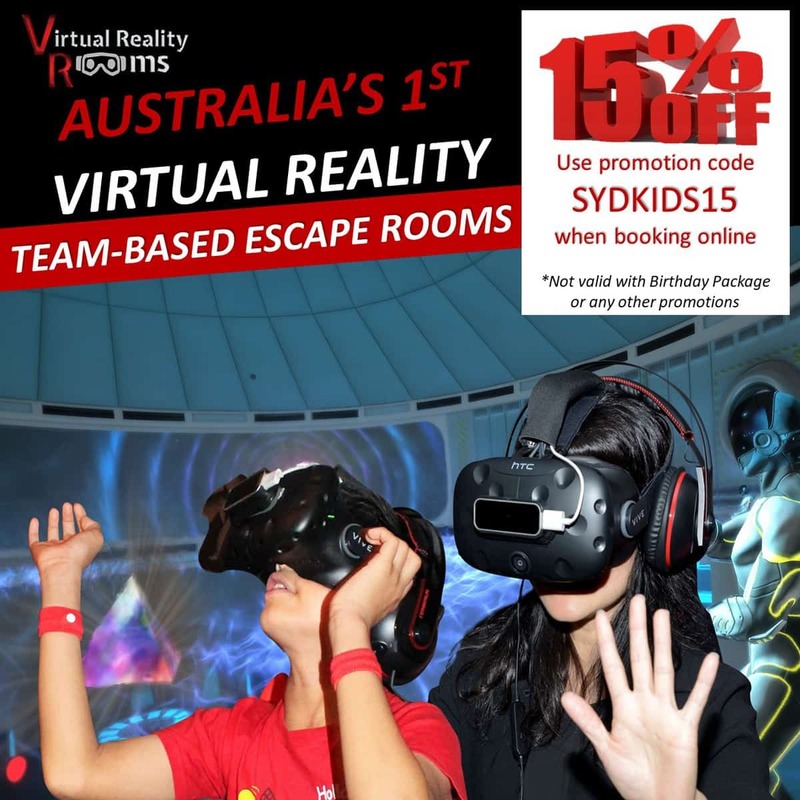 Most people agree with is the best indoor Sydney aquatic centre. This vast indoor complex has a 50 metre Olympic pool, 50 metre training pool, a huge leisure pool with a rapid river run and a slide. There are also two baby splash pools, adults spas, steam room and saunas. Read all the details you need here. A wave machine in the west, hooray! The leisure pool here is fun plus there are two baby and toddler pools and lap pools too. Read all about Blacktown Leisure centre on this post. 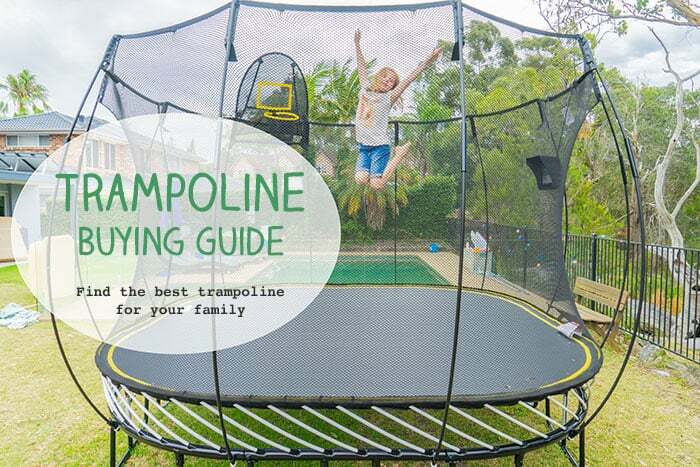 Indoor and outdoor pools plus a trampoline centre there too. 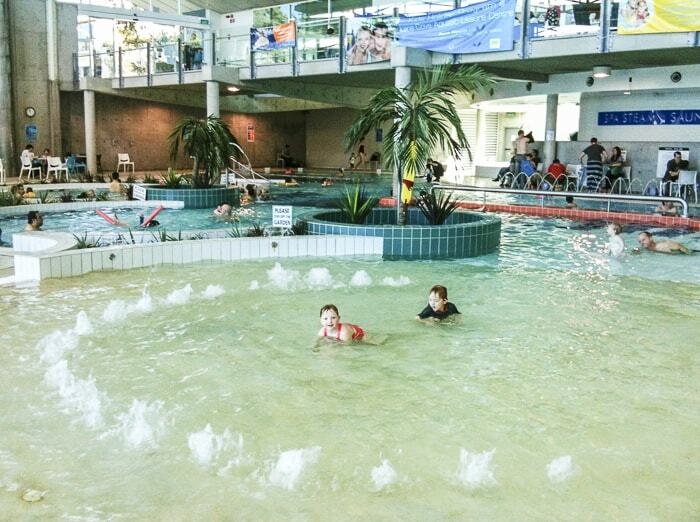 Check out Waves Fitness and Aquatic Leisure Centre here. This is a free pool on the side of Sydney Harbour with the BEST VIEWS over the Harbour and city. Check out all the info on this gorgeous swimming venue here. My most fave pool of all. Gorgeous complex between the Bridge and Luna Park. 50m heated outdoor pool and kids pool plus indoor pools too. Stunnin’ views. Check it out here. The old West Pymble is all jazzed up with indoor and outdoor options, plus it’s right beside a fab playground. Read the post here for all details. 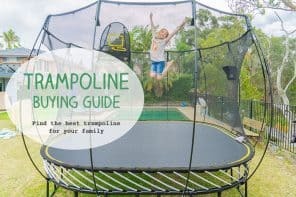 A suburban haven with classic 50m outdoor pool plus 25 lap pool indoors and a wonderful leisure pool with fun stuff for kids. 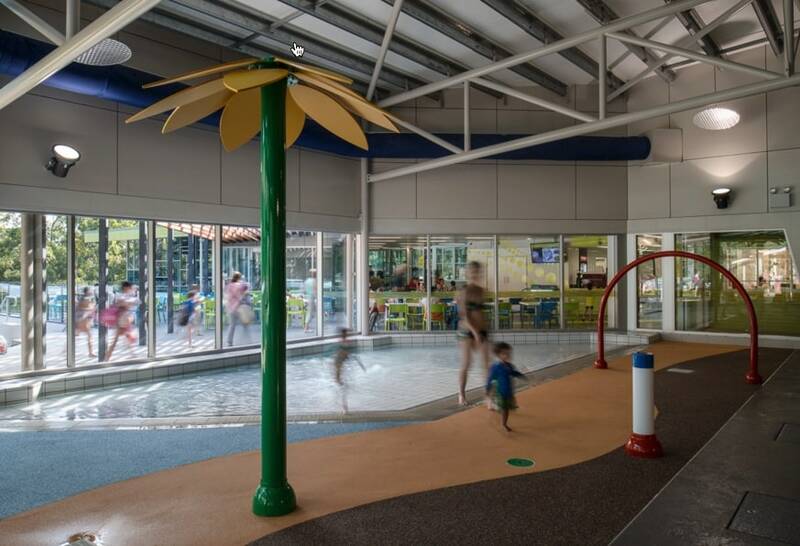 Read all the inside info you need on Lane Cove Aquatic Centre on this post. A pool for everyone, great for adults and teenagers as well as children. Pools, a slide, a wave machine and a rapid river run. Great day trip, worth a drive. Read all the details and see photos of Ryde Aquatic Centre here. 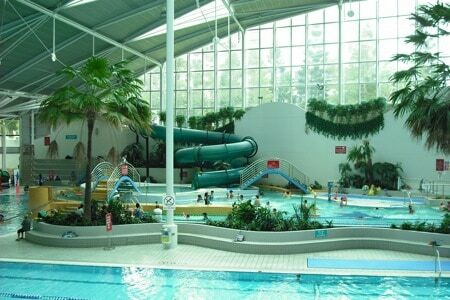 An outdoor 50m pool and a fun indoor pool with great splashy fun and a slide too. 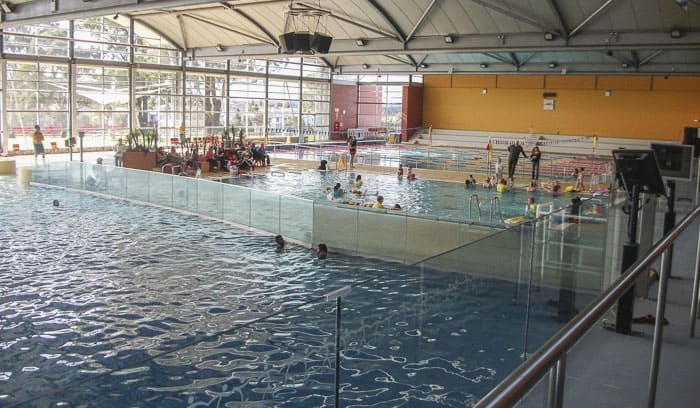 Read all the details about Hornsby Aquatic and Leisure Centre here. With indoor and outdoor pools and diving boards, this Northern Sydneyswimming complex is a summer favourite. Read all about it here. This is a very family friendly pool on Sydney’s north shore with bubbly beach and leisure pool and fun inflatables at the weekends. 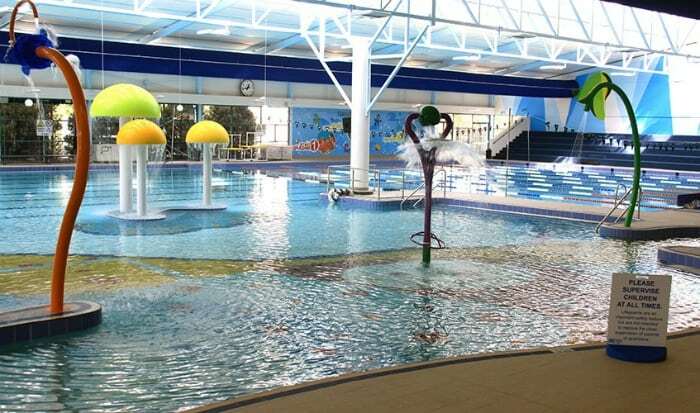 Read all about Willoughby Leisure Centre here. Indoor and outdoor pools, terrific large leisure pools. A great spot for all ages of children… and adults. Read all about Sutherland Leisure centre here. An outdoors pool at Bondi which charges a small fee and is open all year. 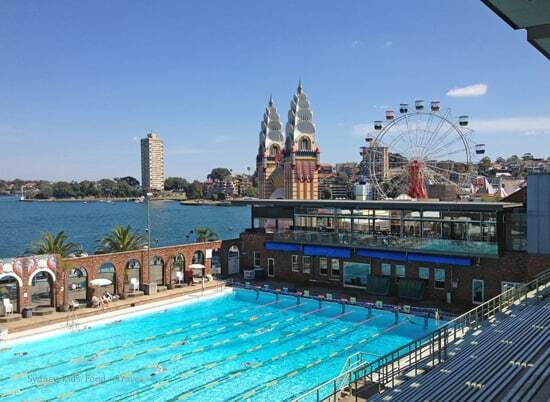 Sydney’s most iconic (and most photographed pool). Find all the info on Bondi Icebergs here. We reckon these are the best pools in Sydney, but where have we missed!? Your advice very welcome and I’ll keep adding more in. Sydney Playgrounds With Huge Slides! 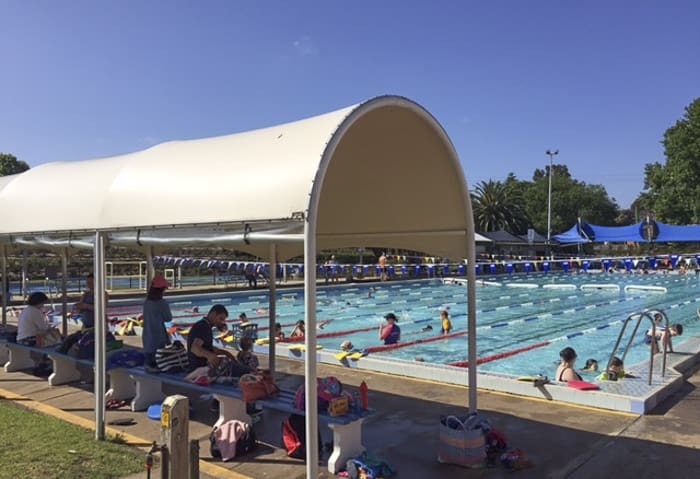 We love Fanny Durack pool in Petersham – plenty shade, lawn, fountains for little ones, plus toddler enclosed paddle pool and a 25m pool with ramp in and a playground at the entry. Coffee shops not too far are Pig & Pastry and Brighton on the corner. 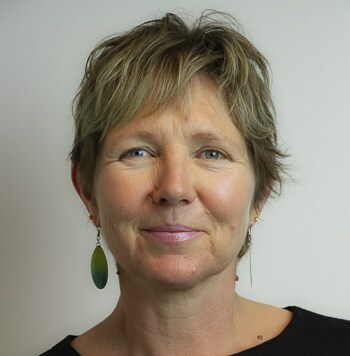 Hello Lisa, thanks so much for this info. I have never been there. 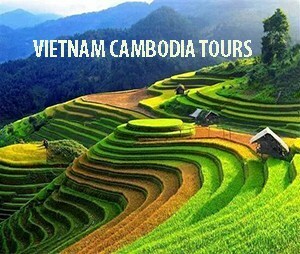 Must get there and take some photos. 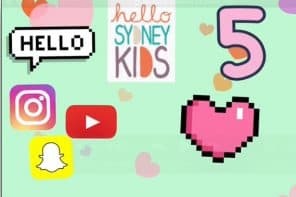 Hi Seana, your lists pretty much capture then all, but there are some other superb pools in and around Sydney that we’ve tried out and highly recommend for kids. 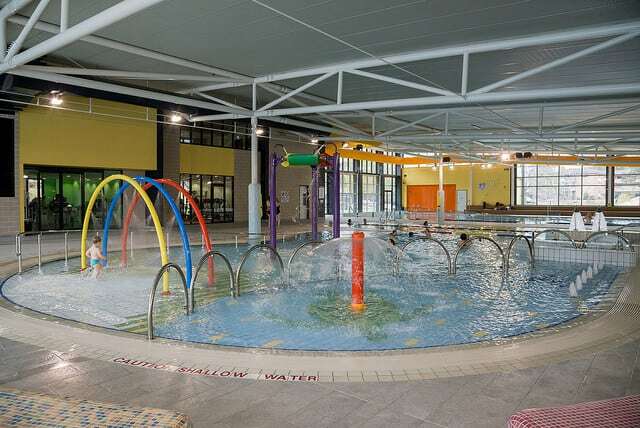 Willoughby Leisure Centre is a good indoor facility with a number of kid’s splash areas & a slide pool (a smaller steel slide). Peninsula Leisure Centre ay Woy Woy is one of the best- all indoors; beautifully designed (the same people who designed the Emerton Leisure Centre); a great water slide; a free inflatable slide in the summer and great attendants (important for us, when our ASD 7y.o. boy loses sight of his need to queue up for a slide). 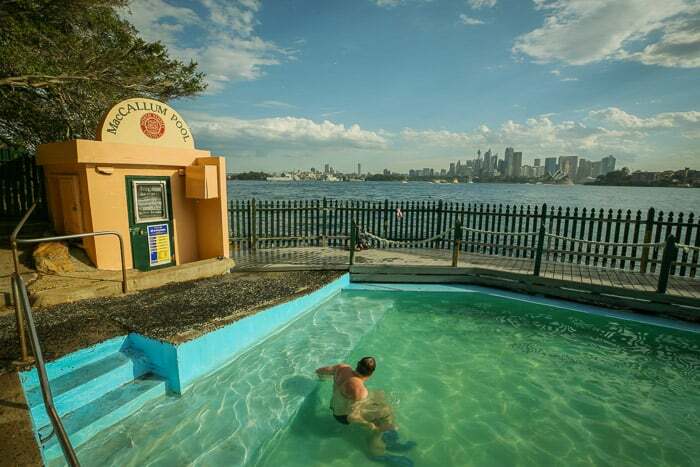 We used to swim at a lovely salt pool in Cremorne – really quiet with amazing views. So many great places around Sydney.